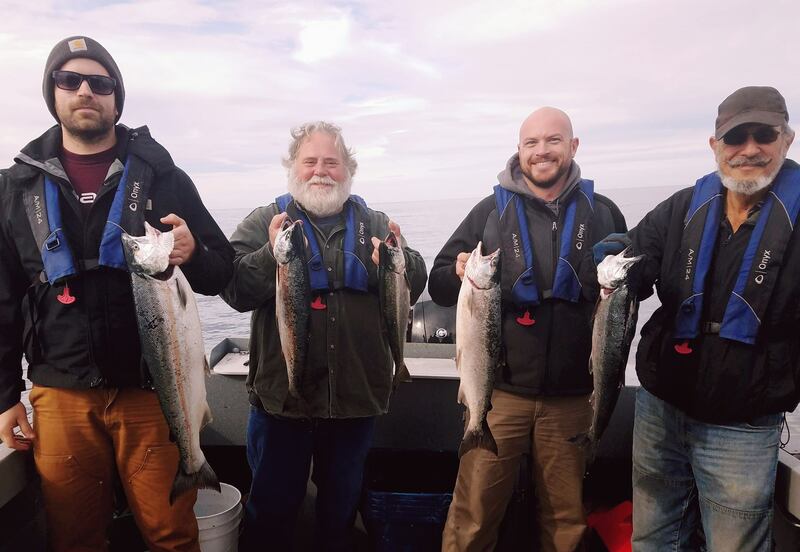 Our 6-pack Salmon fishing trips leave on specific days throughout late summer, and fall season. 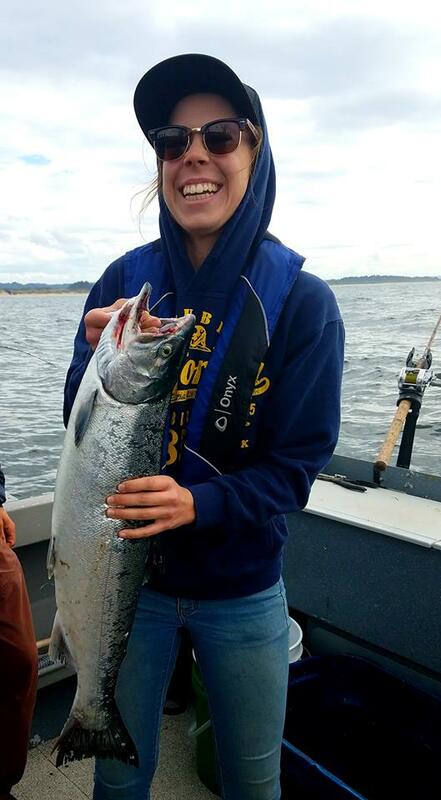 Chinook (“King”) salmon are a deep water fish, and Coho salmon (“Silvers”) are a shallow water fish. 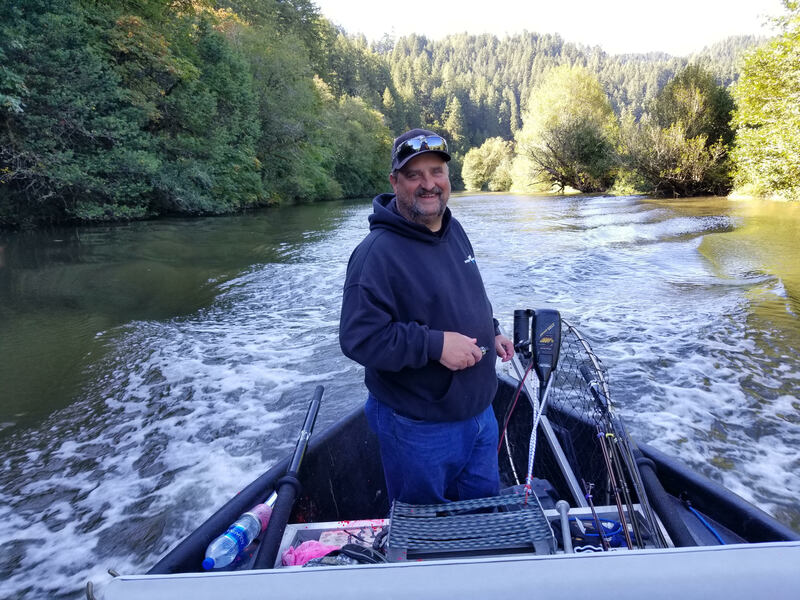 Captain Curt will know where go and how to fish for either species of Salmon during the season. 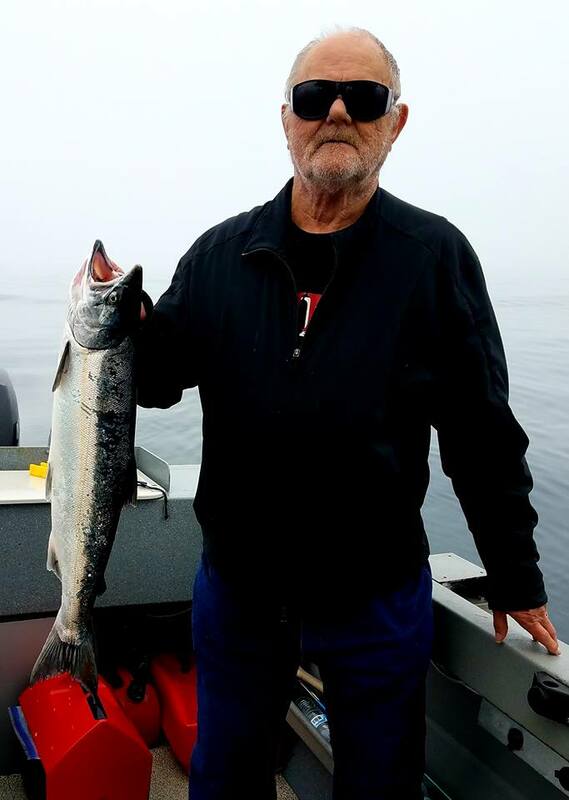 Our guided river trip targets Chinook (King) salmon out of our drift boat and there is a two person maximum. 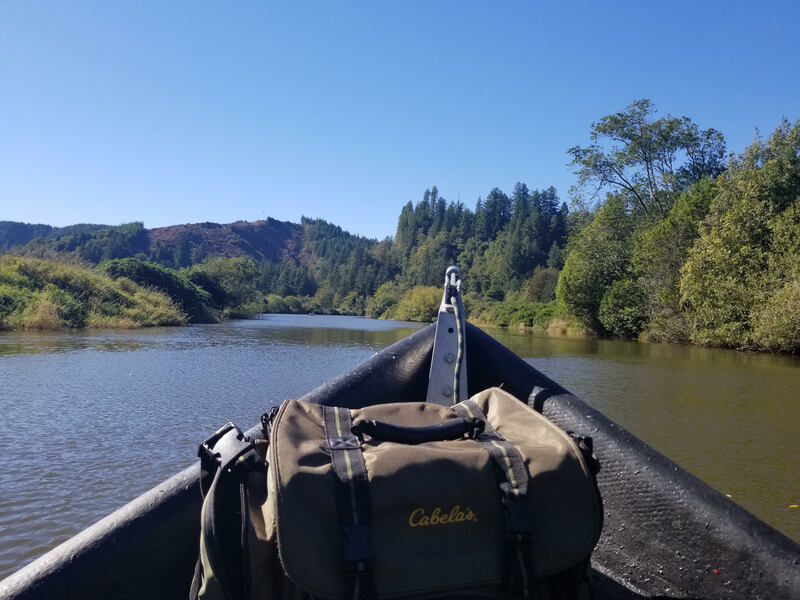 This is an exclusive full-day guided salmon trip you will never forget, and produces larger salmon and in the upper rivers near Coos Bay and Charleston, Oregon. You will need to call us directly for booking at 541-378-3040 and this cost is $225-$250 per person. 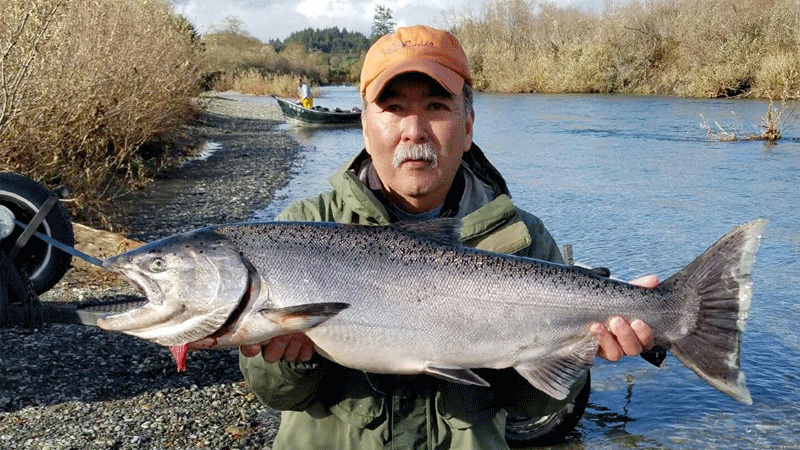 Spring Chinook are caught in both the Pacific Ocean as well as the coastal rivers of Oregon. The best time to fish for Spring Chinook is Mid-March to Mid-June. Chinook salmon average size is 18-22 lbs, and can reach 40 lbs. or bigger. Fall Chinook are caught between July and December, and are normally larger than Spring Chinook. Fall Chinook can range in size from 20-65 lbs. The average weight is 25-30 lbs. The limit for both fall and spring salmon is two fish per person per day. 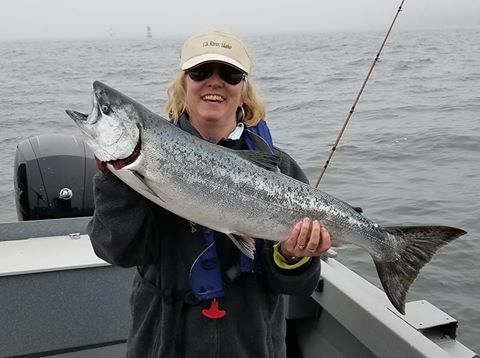 Coho Salmon are commonly caught while fishing for Fall Chinook and are caught quite often. Oregon regulates the number of Coho salmon taken from the river by allowing only those salmon which have their adipose fin clipped to be kept.